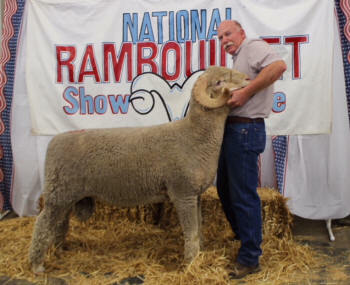 Rambouillet sheep are raised successfully in a range of climate conditions from the scarce brush area of Texas to the extreme cold winters of Wisconsin. 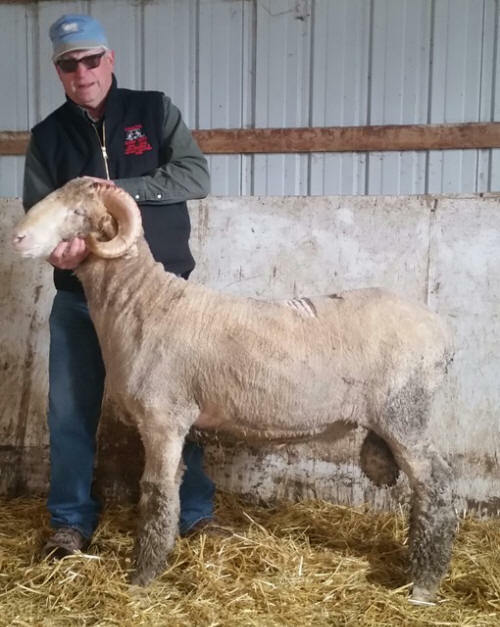 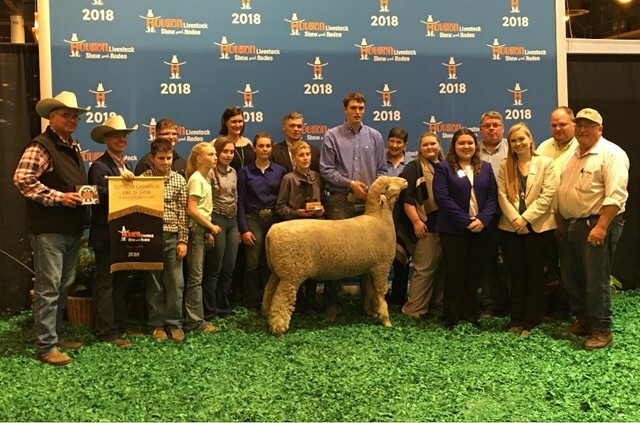 Breeders are also realizing the possibilities of raising the Rambouillet in diverse international environments such as Mexico, India and Canada. 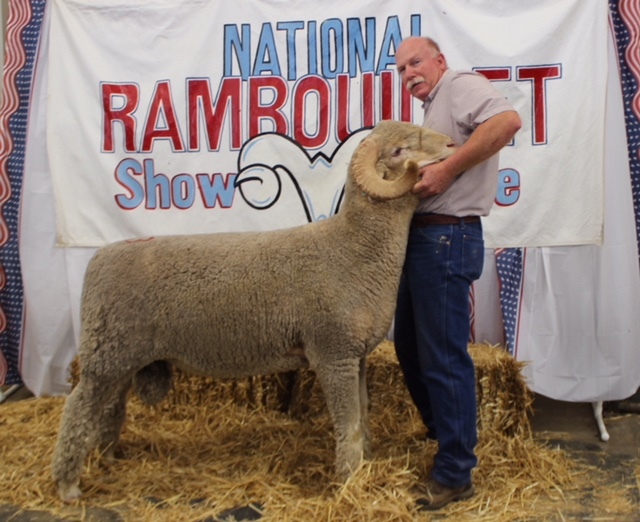 The ability of the Rambouillet to produce both meat and wool of high quality, with little feed and at a wide range of temperatures, are the key factors to maximizing breeders' profits per acre. In this era of technology push, the producer must learn to minimize costs by increasing efficiency. 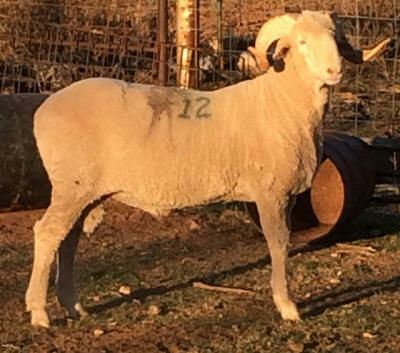 The Rambouillet can attain this goal. 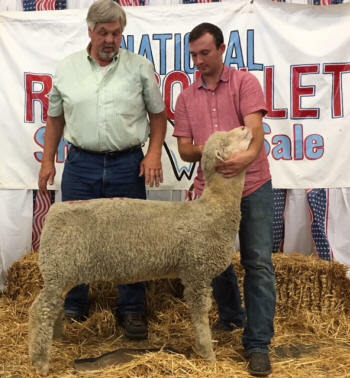 For many years, the Rambouillet has been known as the profit "cornerstone" of the U.S. sheep industry. 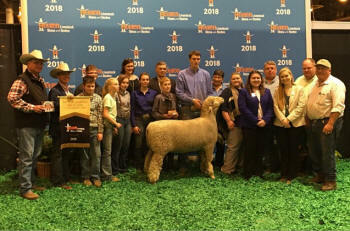 Supreme Champion Ewe in the Jr. 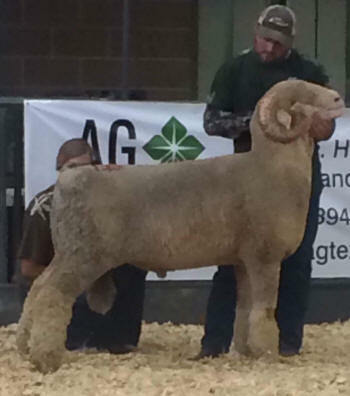 Breeding Sheep Show. 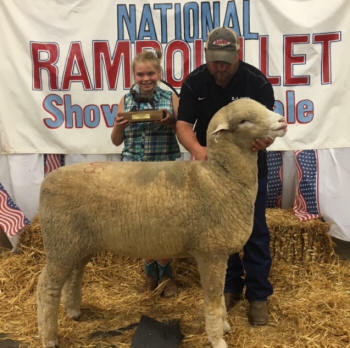 She was purchased at the 2016 National Rambouillet Sale. 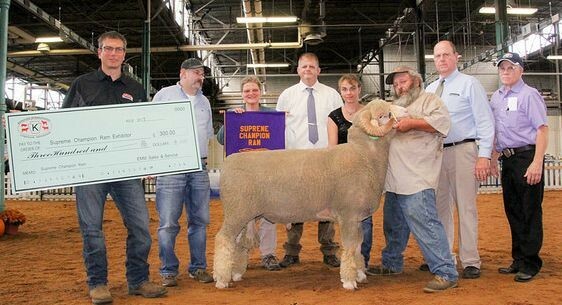 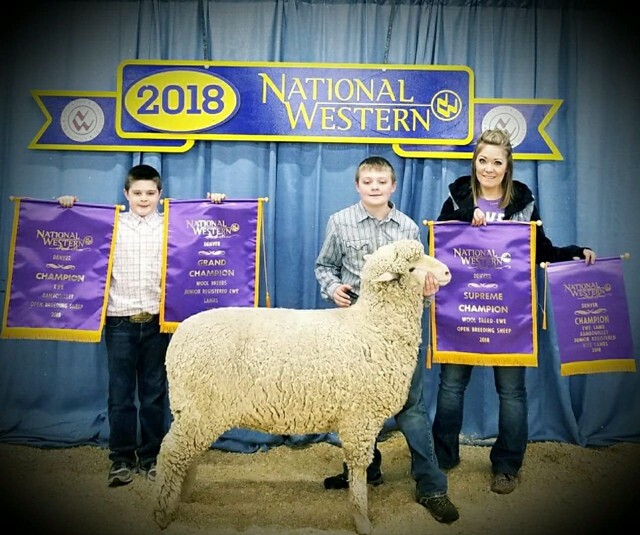 This is the 2nd consecutive year to be named Supreme Champion Ewe.